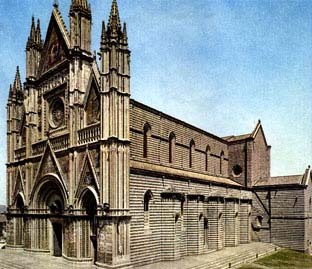 The construction of Orvieto cathedral started in 1263 under the pontificate of Urbano IV. The cathedral has the wonderful Gothic facing. Inside, some chapels are structured with cross vaults.